We’ve had so much interest from job seekers who are interested in working from home for Apple, that we’ve put together a VIDEO TUTORIAL that will guide you through the process of finding Apple At Home Advisor jobs on the Apple website. 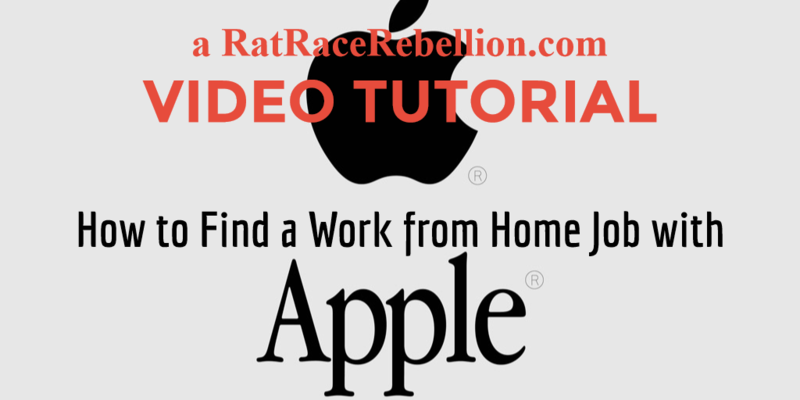 Click here to watch this 5-minute tutorial and to get started on your path toward a work from home job with Apple today! By the way, SUBSCRIBE to our YouTube channel – there are more videos like this one coming soon! As always, we hope you’ll share this post and video with your friends and family who might also like to work from home! This entry was posted in Hiring Companies, VIDEO TUTORIAL and tagged Apple, Apple at-home advisor. Bookmark the permalink.